Artificial intelligence is already making its mark on many industries. Computer algorithms can sort through and make sense of more data in a day than a human could in a lifetime, and it’s impacting how we look at information related to healthcare, sports, advertising and more. But what about resume writing and job searching? 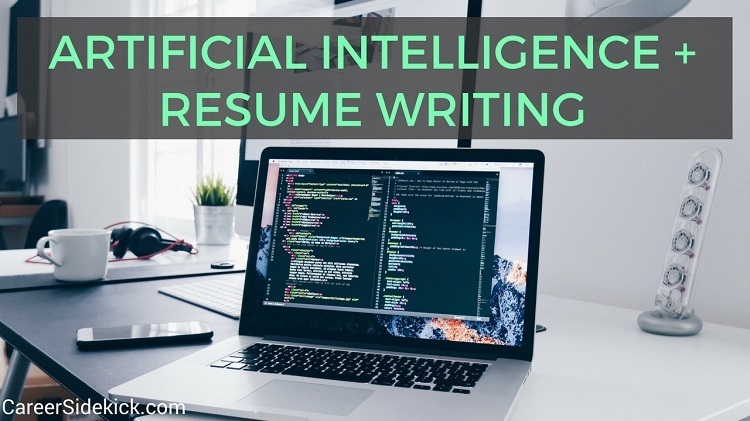 I set out to take a look at how artificial intelligence (AI) could improve resume writing for job seekers. Artificial intelligence has the potential to change resume writing for the better. Let’s look at some of the ways this could happen. AI could potentially look at your LinkedIn, past job descriptions of roles you’ve held, or other data you provide, and come up with it thinks are the most relevant or important facts to put on your resume. Then your task as a job seeker would simply be to edit and adjust, rather than writing from scratch. Over time, an AI program could become better and better at making these recommendations, by “studying” which things people choose to use on their resume and which facts or data people tend to remove during edits, after the program suggests them. This is known as “machine learning”. So it could improve over time and become quite good at guessing what you will want to put on your resume based on your background. Along with looking at pieces of your own background and prior jobs, AI resume software could make recommendations based on general trends and industry patterns. It could study a wide range of resumes across your industry, see the common themes, and then tell you what you’re missing section-by-section, from your resume summary and intro, to your skills and qualifications. I just finished doing my taxes, and I used an online software program. And while pretty basic, this software essentially “walks” you through the whole process by asking you questions about your year. It’s important to fact-check your own resume before applying for jobs. If you say one thing on your resume, and something else in an interview answer, it is NOT going to look good. If you say something that’s inaccurate and have to backtrack in the interview, that’s not good either and could stop you from getting hired. So another way artificial intelligence could improve resume writing is by pointing out potential errors and facts that could be incorrect. This again, is similar to the online tax software that so many people use. Right before you submit your tax return, it runs through some basic checks and tells you if something doesn’t seem right. For example, if you list two numbers, and one should always be higher than the other (for example, your total income, vs. your income just from investments). And for some reason… if you typed in that your investment income was higher than your total income for the year… the software would tell you this cannot be correct. On your resume, it might not be so obvious, but the AI could at least say: “Warning: this number seems unusual for your industry. Please double-check that this is what you meant to put”. You’ve probably heard you should put keywords on your resume, especially with more and more companies using applicant tracking systems before a real person reads the resume. Resume AI could recommend keywords based on what other job seekers have used, what job descriptions in your industry mention, or based on a specific job description you “give” it. Imagine, you know what job you want to apply for. You download the job description into a text doc, and then upload it into an AI resume builder. It scans through the document and determines which keywords are most important to use in your resume. Useful, right? It would save you time and help you get past online job application systems. If you read the definition of AI at the start of this article, you saw the word “translation” mentioned. Now, a word-for-word translation isn’t good enough for your resume. And if you’ve ever tried to use Google Translate between two different languages, you’ll see it’s far from perfect. However as this technology improves, you could potentially write your resume in one language, and have it automatically translated into others. This would be useful for anyone job searching internationally. Companies have already begun using computer programs in their hiring. Applicant tracking systems and resume screening algorithms that check for keyword before a human even looks are examples of this. As artificial intelligence becomes more available in software for job seekers- such as resume and cover letter builders, it could level the playing field and help you get more interviews and get hired faster. It could also help in other areas such as salary negotiation. The more data you have, the faster and easier it will be to find a high quality, high paying job.